Finding associations among different diseases is an important task in medical data mining. The NHANES data is a valuable source in exploring disease associations. However, existing studies analyzing the NHANES data focus on using statistical techniques to test a small number of hypotheses. This NHANES data has not been systematically explored for mining disease association patterns. In this regard, this paper proposes a direct disease pattern mining method and an interactive disease pattern mining method to explore the NHANES data. The results on the latest NHANES data demonstrate that these methods can mine meaningful disease associations consistent with the existing knowledge and literatures. Furthermore, this study provides summarization of the data set via a disease influence graph and a disease hierarchical tree. The National Health and Nutrition Examination Survey (NHANES) is a nationwide survey conducted by the National Center for Health Statistics and some other health agencies since 1971 (CDC, n.d.). It aims at providing nationally representative information on the health and nutritional status of the population and tracking changes over time. NHANES data has been used to evaluate the prevalence and risk factors of diseases in the population and to provide health guidelines. The prevalence of a disease is the percentage of population having the disease. For example, in Beuther (2007) and Saydah et al. (2007), the NHANES data is used to study the prevalence of obesity and chronic kidney diseases over time and in different demographics groups (e.g., age, ethnicity and gender). A risk factor of a disease is a characteristic, condition or behavior that increases a person's chance of developing the disease. The NHANES data has been used to verify the hypotheses of risk factors of chronic kidney (Saydah et al., 2007), obesity (Gangwisch et al., 2005), congestive heart failure (He et al., 2001) and some other diseases. The analysis results from the NHANES data have been used in the development of health related guidelines and public policies. For example, the early NHANES data revealed that the blood levels of lead among Americans were too high. The findings led to the federal regulations on reducing the amount of lead in gasoline, paint and soldered cans (Pirkle et al., 1998). The NAHNES data contains a questionnaire component in which selected people are interviewed for their medical conditions and disease histories. It is a valuable data source for discovering disease associations among dozens of diseases. Disease associations can provide useful information in disease prevention, diagnosis and treatment. There are some studies on evaluating correlated diseases by using statistical methods (He et al., 2001; Manjunath et al., 2003; Spence et al., 2003). The statistical methods focus on evaluating a number of pre-defined hypotheses of a set of risk factors or some associated diseases with respect to a particular disease. In contrast to the statistical methods, data mining methods aim at discovering the knowledge of associated diseases among a large number of diseases without any hypotheses. However, to the best of our knowledge, the NHANES data has not been systematically explored for mining associations among extensive diseases. Is mining disease association patterns straightforward? 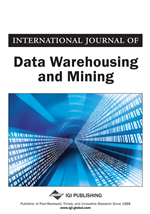 One may think that association rule mining or association pattern mining (Agrawal et al., 2003) can provide an immediate solution. In an association rule about diseases , where A and B are two diseases, the probability that disease A appears in the population is called the support of the rule, and the probability that disease B appears in the condition of disease A appearing is called the confidence of the rule. Some other correlation measurements such as lift (Han et al., 2006), all-confidence (Omiecinski et al., 2003) and cosine (Han et al., 2006; Tan et al., 2002) are also proposed.